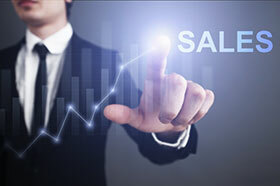 BizBen.com has just updated their business sales statistics, and business sales continue at a brisk pace. Good News: Businesses continue to sell at a great pace, about the same as last year. Lots of qualified buyers with cash or access to financing. Tons of “businesses” for sale. Bad News: Tons of “businesses” for sale (again). I use “quotes”, because I feel many businesses on the market are not sellable. They planned poorly, have insufficient books and records, they are in overpriced leases, or are in tough industries like retail/brick & mortar. If you are a business that is thinking about selling, start your exit plan now. Give us a call, we can explain the process and even offer a business valuation.